Time for a new Challenge at Scrapbook Boutique Bloghop & a Giveaway! Welcome back, it’s time for the new challenge at Scrapbook Boutique, that means it’s also time for a blog hop… so of course more wonderful prizes to be won! You should have arrived here from Sue’s awesome blog! For all the deets on how to join our challenge and have the chance to WIN a $30 gift voucher stop by Scrapbook Boutique blog, you have until the end of March to join us! From here you are heading to the Scrapbook Boutique Blog, thanks for joining us, it’s been heaps of fun! Other Supplies: Copics – W0. Y11,13,21. RV10. Prismacolor Pencils – Warm Grey 20, 50%. Masking paper. < Previous Have a Lovely Day (video)! Next > Have a Great Day at Muse! I love how you created your background and your bunny is too cute, Therese! Really sweet card! What a wonderful stamp set, gorgeous card! Really cute card Therese. What an awesome stamp set. Aghhhh I see a bunny……good for you Therese. Gorgeous card and I love the sentiment you chose for this one! What a lovely stamp set, you card is soooooo cute. 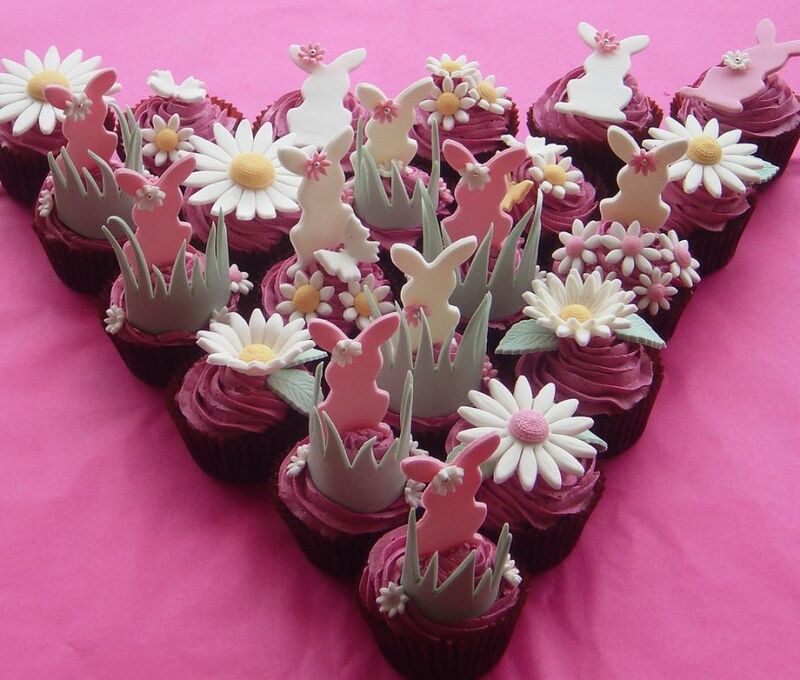 Love the pretty flower garden you’ve created for your cute bunny Therese. Lovely card. Cute bunny. TFS. OMG – your stamping is amazing! That bunny is the cutest I’ve ever seen – very whimsical! 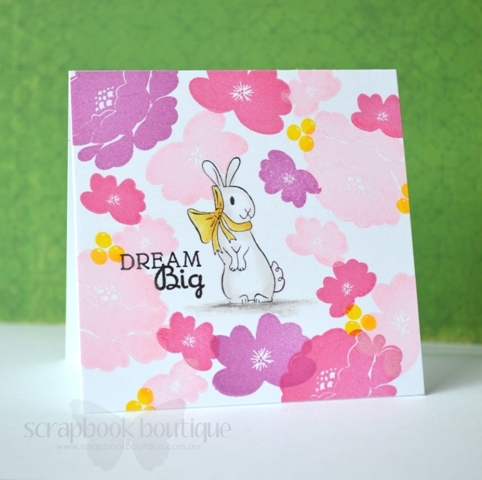 Absolutely gorgeous Therese, I love the cute bunny and the stamped flowers.